Hello, and welcome to another edition of Frightful Fridays! This is the third of three monsters whose images my friend Patrick provided. I loathe clowns, so this was an extra challenging monster to work on, but I hope I channeled that intense dislike into a nasty undead creature. One that can create more of the same clowns...shudder. I hope you enjoy these awful, awful monsters, and I'll be back next time with something cheerier (maybe a spider that has spiders for limbs, for example). Thanks for reading! Bardic Performance (Su) A vampire clown may use bardic performance as a 15th-level bard, and can only use fascinate (5 targets, DC 22). Create Spawn (Su) A creature that dies as a result of a vampire clown’s energy drain rises 24 hours later as a vampire clown, under the command of the clown that created it for 1 year and 1 day or until the siring clown’s death, after which it becomes free-willed. Energy Drain (Su) A vampire clown can only drain levels from a creature under the effect of the clown’s hideous laughter. Laughter of the Damned (Su) A humanoid creature does not benefit from the +4 bonus to its save against hideous laughter by being a different type than the vampire clown. Additionally, the save DC for a vampire clown’s hideous laughter includes a +2 racial bonus. Pain of Emotions (Su) A vampire clown loses its immunity to mind-affecting effects with respect to spells and effects with the emotion descriptor. It does not suffer the normal effects of such spells and effects when it fails its save; instead, it takes 1d6 points of damage per spell level. Legend tells that the first vampire clown was an unpopular circus performer who rose in unlife after spending a number of bitter years destitute, homeless, and unloved. When he died, he vowed to bring smiles to people even if it killed them. During the year following his death, towns visited by the clown’s former circus troupe dealt with puzzling murders where the victims had rictus grins and whose bodies disappeared a day later. Eventually, a powerful priestess figured out that the murders and disappearances were the work of undead creatures, and she gathered a group to destroy the abominations. Unfortunately, some of the vampire clowns escaped to spread their forlorn brand of humor elsewhere. Strangely, the need to make others laugh drives vampire clowns. Unlike typical vampires, they can operate during the day, and perform on street corners in an attempt to delight onlookers. Despite their ability to blend into society and their considerable practice with comedic performances, there is something off about their attempts at entertainment. 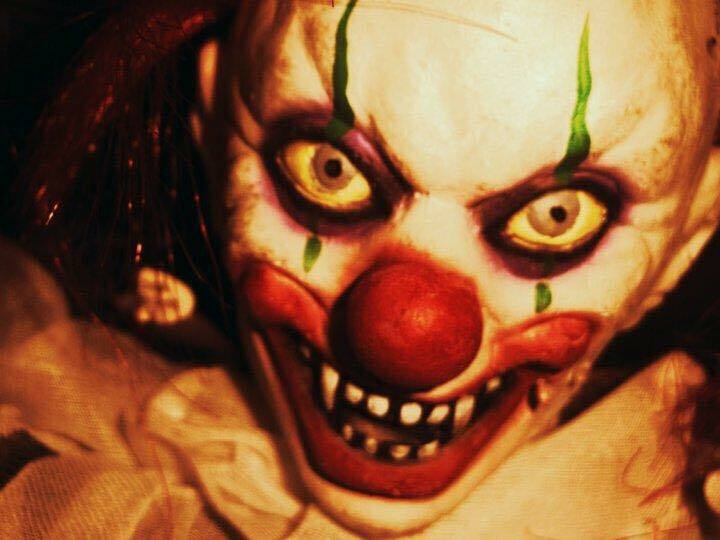 Those who do not react with laughter mark themselves as targets for vampire clowns, who stalk their victims at night and use magic to force them to laugh. While victims suffer from this uncontrollable laughter, the clowns drain them of energy and, in the process, create terrifying progeny. In order to protect themselves from attack, vampire clowns learn to use their props as weapons and know how to summon fiendish bears or tigers, usually dressed up in garish costumes. Hello, and welcome to a late Frightful Fridays! This week's entry continues the run of undead creatures requested by Patrick. During the discussion about this monster, our mutual friend Paris, suggested the name "infused spirit" and the idea that it has positive energy, rather than fire. I spun that off a little bit so that it retained its negative energy, but it also absorbed an incredible amount of positive energy (in its second former life) that revived it and made it hunger for more. I hope you enjoy the infused spirit, and I'll be back next time with a new monster from Patrick's list. Thanks for reading! This ghostly figure wears ancient armor and carries a shield and spear; its body trails off into a swirl of light and dark energy. Absorb Positive Energy (Su) If an infused spirit is within the radius of a channel positive energy for healing, as an immediate action it can attempt a Will save (same DC as if the channel were used to harm creatures). If it succeeds, it heals damage and otherwise negates the channel attempt. Additionally, if an infused spirit is a valid target for a spell that heals multiple creatures (such as mass cure light wounds), if it succeeds at a Spellcraft check to identify the spell, it can also attempt to absorb the spells energy as above. Life Siphon (Su) If an infused spirit succeeds at a touch attack, it Inflicts 6d6 points of damage to creature touched (DC 21 Will save for half), and heals the infused spirit half that amount. Immune to Positive Energy (Su) With the exception of its absorb positive energy ability, an infused spirit can neither be harmed nor healed by positive energy. It retains its immunity to negative energy. An infused spirit forms when an overwhelming amount of positive energy would otherwise destroy an undead creature. Rather than killing the creature, the negative energy animating it mixes with the positive energy to give it an additional attempt at unlife. The horrific combination of energies renders the new creature immune to positive energy attacks, while instilling an overpowering hunger in it. It seeks living creatures to devour their life essences. An infused spirit also wishes to expel the negative energy at the core of its being. It can channel negative energy as a way to release it but prefers not to, since it “sours” the life energy of its prey. Instead, it infuses the weapon construct with greyflame energy, so it can harm lone, difficult-to-kill opponents. The weapon construct and armor construct are manifestations of the collision between the opposing energies, and usually match the armaments worn by the infused spirit in life. Hello, and welcome back to another edition of Frightful Fridays! This week's monster is courtesy of a specific request from my friend Patrick, who wanted some undead creatures in the CR 8–10 range. First up is a galvanic warrior known as the blitzgeist. Its schtick is all about electricity, typically in lightning form, which it uses to blast its foes into oblivion. It can also heal itself with lightning and if it overcharges itself, it can dish out lightning bolts in, well, lightning fast manner. I hope you like the blitzgeist, and I hope to keep up the weekly trend. Thanks for reading, and I'll see you next time with a new monster! Lightning crackles along every surface of this ghostly warrior; its ghostly armor and massive weapon speak of the might it possessed in life. Conductive (Su) A blitzgeist struck by a spell or effect that deals electricity damage gains temporary hit points equal to the dice of damage (or 1 point per 5 points of damage, if deals a flat amount of damage) dealt by the spell or effect. These temporary hit points last for 1 hour. If the blitzgeist has temporary hit points in excess of its maximum hit point total, it can deal 10 points of damage to itself to apply the Quicken Spell-Like feat to its lightning bolt spell-like ability. A blitzgeist can redirect spells that deal electricity damage to target itself instead if it is within 60 feet of any point along which the effect travels. It must succeed at a dispel check (1d20 + blitzgeist's caster level; DC = 11 + spell's caster level) to redirect the spell. It automatically succeeds at redirecting its own spell-like abilities, but it gains only half the temporary hit points from them. Electrical Discharge (Su) A creature that strikes a blitzgeist with a natural attack or metal melee weapon takes 5d6 points of electricity damage (DC 22 Reflex half). The save DC is Charisma-based. 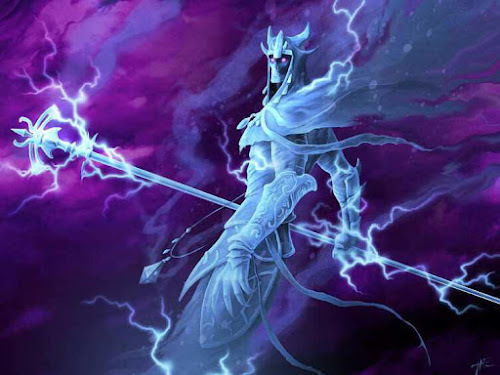 Overwhelming Shock (Su) Whenever a creature takes electricity damage from a blitzgeist's, it must make a DC 22 Fortitude save to avoid being stunned by the supernatural galvanism for 1 round. The save DC is Charisma-based. Blitzgeists were powerful warriors who believed themselves invincible, but the metallic armor they clad themselves in and the oversized metal weapons they wielded made them targets for the lightning that spelled their downfall. 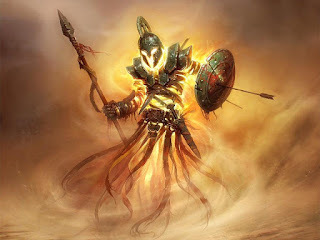 Rumors speak of particularly brazen warriors who challenged the gods and were repaid with a divine stroke of lightning. Whatever their origins, blitzgeists wander battlefields and haunt their former homes, where they invoke electrical destruction. Blitzgeists see themselves as generals and field marshals for the undead, and they often surround themselves with armies of skeletons, zombies and more powerful undead. They prefer to send their minions to tackle the rank and file of living armies, while they seek out commanders whom they challenge to single combat. Hello and welcome back to an overly delayed Frightful Fridays! This week's monster resuses an image from over two years ago (where it formerly was in service of the scroll eating moth), but it was an appropriate image for a creature that strips heroes of their abilities before an imminent apocalypse. It also implants its victims with larvae, which spring forth from the doomed body and teleport away to another planet where they await their new home's inevitable destruction. I hope you like this cutest little pre-apocalyptic guy, and you can use it to terrify your players (and their characters). I'll see you next time with a new monster. Thanks for reading! 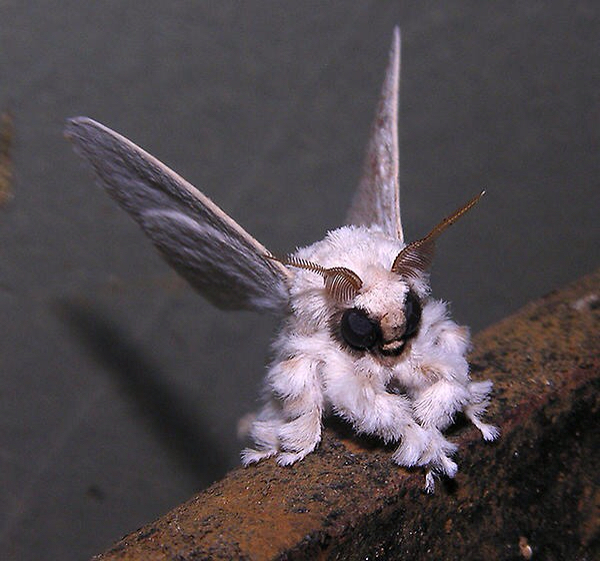 This delicate-seeming moth is the size of a small dog; its dark eyes absorb light and life. Implant (Su) If a denouemoth damages a creature with its sting attack, it implants a larval denouemoth in its victim. If the prospective host fails a DC 33 Fortitude save, the larva lives dormant within the victim; otherwise it dies. If the host takes at least 120 points of energy damage that kills it, the larva bursts out of the corpse, grows instantaneously to adult, and uses its interplanetary teleport ability to travel to a new planet. While its host is alive, the larva has no adverse effect on it. Reflection of Failure (Su) If a spell or effect fails to penetrate a denouemoth's spell resistance, it can use its prediction of failure spell-like ability as an immediate action against the spellcaster. Touch of Vulnerability (Su) If a denouemoth touches a target with its wings, it potentially saps its opponent of power. The target creature must succeed at a DC 33 Will save or permanently take a –4 penalty to spell resistance and saving throws. An affected creature also reduces its energy resistances and damage reduction by 10 (to a minimum of 0). This is a curse effect, and can be removed via the normal means, but the DC to remove the effect is increased by 4. A creature that saves against this ability cannot be affected by the same denouemoth's ability for 24 hours. The save DC is Charisma-based. Denouemoths live solely to see the ends of the worlds on which they reside. These effectively immortal creatures shelter away in the hidden areas of their home worlds and watch for signs of armageddon. Spurred to action, the moths locate the most powerful good creatures on their doomed planets and attack. While not a direct physical threat, the moths reduce their opponents in power such that they cannot prevent the oncoming destruction of their homes. The moths also implant their larvae in their foes; these larvae can only metamorphose in the destructive death throes of a world, so the moths prefer to select creatures likely to be the final living creatures as hosts.